With what software tool can I reconcile the gene tree (obtained for orthologs using OrthoFinder) versus the species tree for ~ 30 plant species? I was thinking of using NOTUNG, but realized it may not output the specific image I am looking to generate. 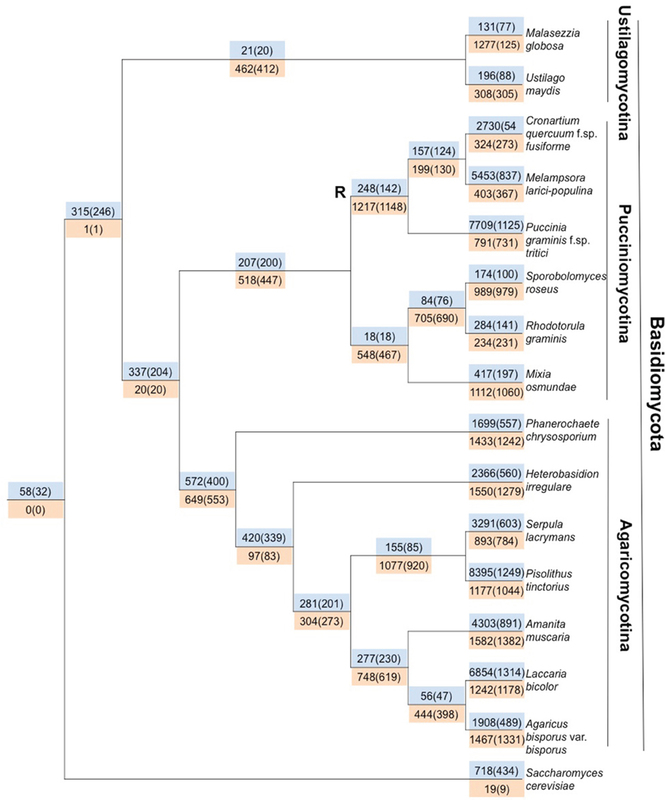 Which is: ready-made tree that has the gain and loss numbers of the orthologs mapped on to internal nodes and terminal leaf nodes of the species tree. Something like what I find in these example images : , or . Please note that I am currently not using an outgroup species, or outgroup sequences for gene tree. Did You ever find a solution to this ?